High efficiency water heaters and boilers provide hot water for less. No one wants to take a cold shower or have high energy costs. This makes the decision to install a high efficiency boiler or water heater an important one to make. We exclusively install metal duct systems that meet industry standards. We do not use fiberglass duct board which is insulation and was never intended to be used as a duct system. All of our duct systems are sealed and insulated for the highest efficiency. This is specialized duct that can be buried and sealed underground where traditional duct systems can not work. This type of system can be buried under concrete foundations, brick, low crawl spaces, or other hard to reach areas. All around the world ductless systems are the standard choice of HVAC systems. Efficiency and application make this a great way of heating and cooling in residential and commercial application. Indoor air quality (IAQ) is a growing concern for owners of both new and existing homes. To improve the air quality in your home we offer a wide variety of IAQ products, including: air cleaners, humidifiers and filters that work with your heating and cooling system to help improve the comfort of your home. Get high-quality, energy efficient products from the company you know and trust, call us today! Home Too Dry or Moist? We Can Help You Today! Whether you need to add or remove moisture from your home, we can help. 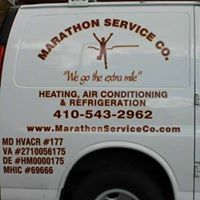 Contact our HVAC and ventilation system experts today. We'll get you the humidifier or dehumidifier you need to make your house more comfortable to live in, any time of year.